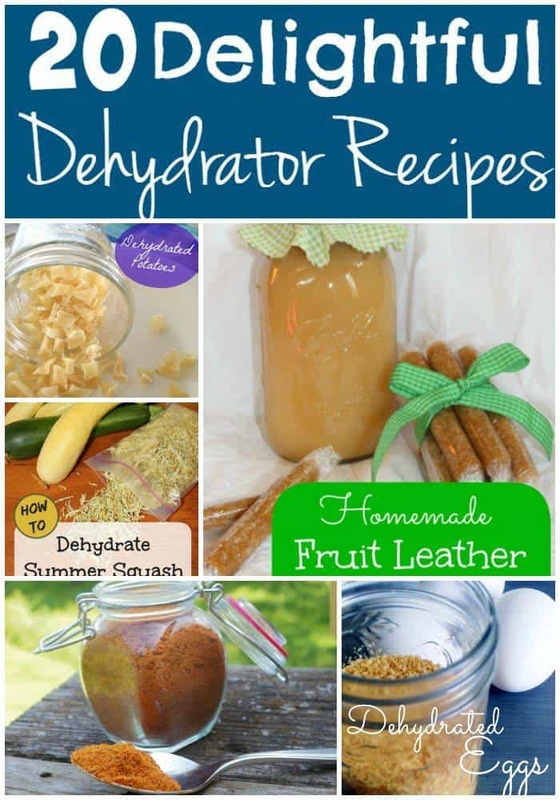 Do you dehydrate foods? I do and LOVE it! It makes keeping certain foods fresh and shelf stable so easy! I seriously love using mine so much that I look for things to dehydrate! No joke, my dehydrator has a permanent spot on my kitchen counter. Some people have their mixer there. I keep my dehydrator there. Hey I never said I wasn’t odd sometimes. If you’re just learning how to dehydrate foods though, it can be hard to know exactly how to prepare them and the different types of foods you can actually dehydrate. 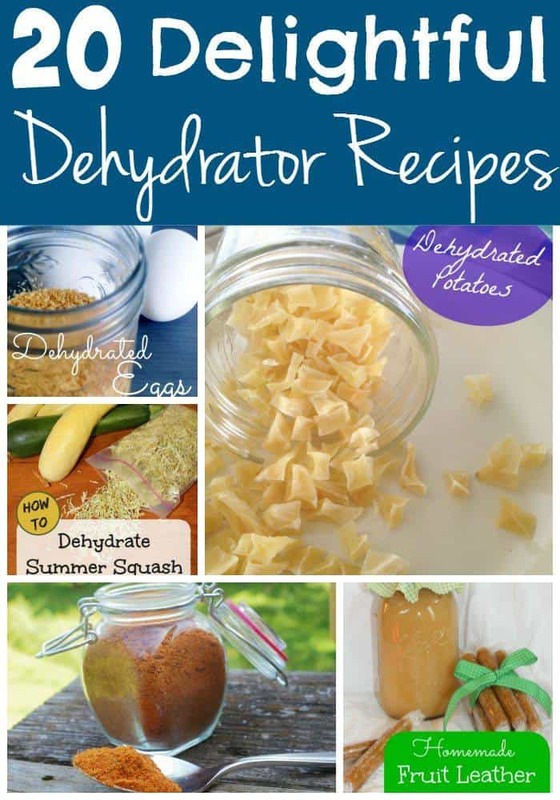 These 20 dehydrator recipes are just what you need! Like I said above, if you’re new to dehydrating, it can be kind of confusing as to what you can and can’t run through your dehydrator. If you haven’t even bought your dehydrator yet and are just doing some research, I highly recommend THIS one. It’s the one that I personally use, You can add trays to it and there are other nifty accessories like fruit trays you can purchase if you want to. It works without any accessories though so no worries if you don’t want to buy any right now. With most gardens already harvested or being picked as we speak, now is the perfect time to try these! They’re all awesome and are some of my absolute favorites. Give them a shot and I’m positive you’ll agree!